You own a local business and your success depends on your customer’s ability to find you online. You must be able to put your business in front of consumers when they are looking for your products or services. Local SEO is a necessary step in reaching out to potential customers online. We have put together the following steps to help guide you through the process. Implementing the suggestions in the checklist will help your business gain more exposure in Google. The checklist includes both On-Page (Website Updates) and Off-Page techniques. These are many of the techniques that we use when optimizing a client’s website for Local SEO. Don't miss any valuable steps! Instantly download the complete Local SEO Checklist Now! Make sure every page on your website has a title tag explaining what that page is about. Include keyword(s) you want that page to rank for. Keep Title Tags limited to 60 characters. Make sure every page on your website has Meta Descriptions. The descriptions should go into more detail than the Title Tag. Make sure to include the keyword(s) you want that page to rank for. Keep Meta Descriptions under 160 characters. Include one H1 heading tag per page incorporating the most important keyword of that page. The H1 tag is used on the most important topic heading for the page. Utilize H2 and H3 Tags for all other headings. These are generally lower on the page and are used for content that is less important than the H1 tag. Create great content for every page on your website. Make sure the content is unique. Every page contains enough quality content relating to the main topic (keyword) of that page. The content should relate strongly to the main topic for the page and be at least 500 words in length. Include localized content such as the city and state, and write about the product or services your business provides in that area. Display customer testimonials from each location on your location pages. If you have a single business location, include the business NAP data in the header or footer of every page on the site. If you have multiple physical locations, include that location’s NAP data in the header or footer for that specific location’s page. Every physical business location should have its own page with the full NAP data on that particular page. Include each location’s full address and phone number on the Contact Us (locations) page. For a business with a single location, embed a Google map of your location on your contact page. 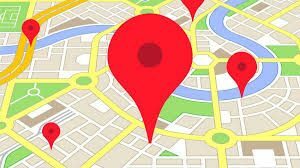 For a business with multiple physical locations, include the Google map of that particular physical address on every location page . For a business with a single location, make sure your NAP data is formatted using local business schema markup on your home page. For a business with multiple physical locations, make sure your specific location NAP data is formatted using local business schema markup on each location page. The Website was tested for proper mobile formatting using Google’s free tool. (Many web searches are being performed on mobile devices. Make sure your website renders properly on all types of devices). Set up a single Google My Business listing for your business. Under the main Google My Business listing, create a separate Business Account for each physical business location. Use your actual (complete) business name (as it is listed on your website). Enter your exact business address including the suite number if applicable. If you are a service business that sees customers at their location and you want to hide your business address, select “service area business”. This option allows you to define your service area as an alternative to displaying your physical address. Enter your real business local phone number. No 800 numbers or call tracking numbers. Add your website address. 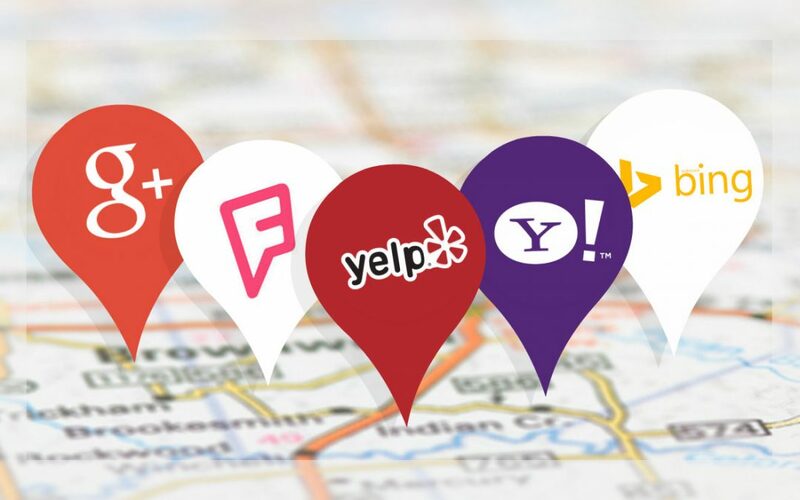 If you have more than one physical location, link each separate Business Account to the unique location page on your website for the location you are setting up. Only select the business categories that most accurately represent your business. Briefly describe what products or services your business offers. Include additional links to pages on your website (if appropriate). Add photos of your business and photos of each physical location. Add your business hours, types of payments accepted, etc. Follow the instructions on screen to VERIFY your business listing with Google! Set up your business listing in Bing Places for Business, VERIFY the listing! For each physical location, create citations (business listings) including the name, full address, phone number, (NAP) and URL of the location page on your site. Only build citations for actual physical locations, do not use P.O. Boxes or virtual offices. Submit your listings to the 4 main data aggregators: Infogroup, Neustar/Localeze, Axciom, and Factual. Find your existing citations using Moz Listing Checker. Identify and fix incorrect or duplicate listings. Edit or remove incorrect and duplicate listings. Submit your website to the local niche directories such as (DexKnows, com, MerchantCircle, Superpages, Angie’s List, and Yellow Book). We recommend at least 50 submissions to top online directories per business location. Join your local Chamber of Commerce and complete your directory listing on their site. Join additional Chambers in towns/Cities that you service. Complete your directory listing on those sites. Join the BBB and provide your website for their online listing. Reach out to other local area businesses with which you have partnerships. Attend or Host local events. Contact your local Chamber for opportunities. Offer to be a guest blogger for a Local Blog. Submit press releases to local news agencies when you have events or news to promote. Get listed on review sites such as: Google My Business, Yelp, Facebook, and Angie’s List. Look for industry and local review sites. Submit your listing to those sites. Incorporate an automated Testimonial System. Use it to build customer testimonials. Feed Testimonials and Reviews to your website in the appropriate Schema Markup. Continuously monitor the review sites and look for new reviews. Address negative reviews promptly, always respond publicly on the review platform by telling the customer that you have seen their review and that you will work with them to address their issue. Provide great customer service by contacting the customer directly (privately) to further provide a solution. Nice easy to follow checklist that explains the essentials in brief. It is never easy to achieve results with Local SEO, but if you make sure you got the basics in place it can give you a head start. I have seen many times where businesses have moved, got a new website built with a new address on every page and the company has not updated any of their citations. It gets left so long that they create new citations and forget about the old news. I had this with a charity that moved locations and there was a postage address to the old location on many websites. Simple managed citations can give users, search engines and yourself a clear indication of where you are located and can help you do well in local search results. Such a simple task always made hard by simple mistakes!